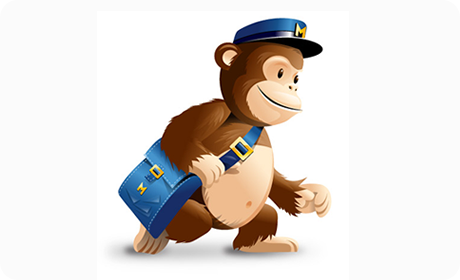 Mailchimp email subscription is a powerful tool if you want to send mass mails. If you are looking for how to integrate Mailchimp into your Magento store, you are at the right place. Go ahead and happy reading. Cannot send the newsletter right away because their local time is not the same as of server time. Eventually, their newsletter campaign will be sent few hours later than the intended time. Although, this can be adjusted with a little tweak. But why to adjust when you already have mailchimp. There is a limit on how many emails can be sent at one go. And they cannot sent mass email at a point of time. Cron Management and all as you need to sent lots of triggered mailers. You might be managing third party email subscription if you are also facing the same problem. Like Mailchimp, Feedburner, etc. to manage their email lists and send out mass email newsletters or promotional emails. Today I will cover how to integrate Mailchimp email subscription within Magento store and how to create html newsletter in Mailchimp. Install existing extensions e.g. Advanced Newsletter (aheadworks), MailChimp Synchronization (ebizmarts) or E-Commerce 360 (mailchimp). Log on to your Mailchimp account. Click on “Lists” tab. It will show a list of all available Newsletter (If not please create one for your store). Click on setting to explore more. Click on the secondary tab called “for your website” Now, let’s click on “Signup Form Embed Code” link. It will open up your Signup form designer with options like “Design Form Structure”, “Form Colors” & “Form Enhancements”. Modify or change the form and once all done click on “Create Embed code”. Copy the embed code from the text area at the left. Your Mailchimp signup code is ready, Now add this code to your Magento store and replace the existing signup code (i.e the default one). You can change the code by editing app/design/frontend/default/theme/template/newsletter/subscribe.phtml. You need to change the CSS and all to give your look and feel. Thats all. You are done. Now you are ready to draft your own newsletter. Go ahead and let me know if you find any problem in integrating it with your Magento Store.